Voted best of houzz 2019 award! January 24, 2019 - The Houzz Community has voted SUBU Design Architecture as a winner of Best of Houzz 2019 award four years in a row. January 2018 - The Houzz Community has voted SUBU Design Architecture as a winner of Best of Houzz 2018 award. 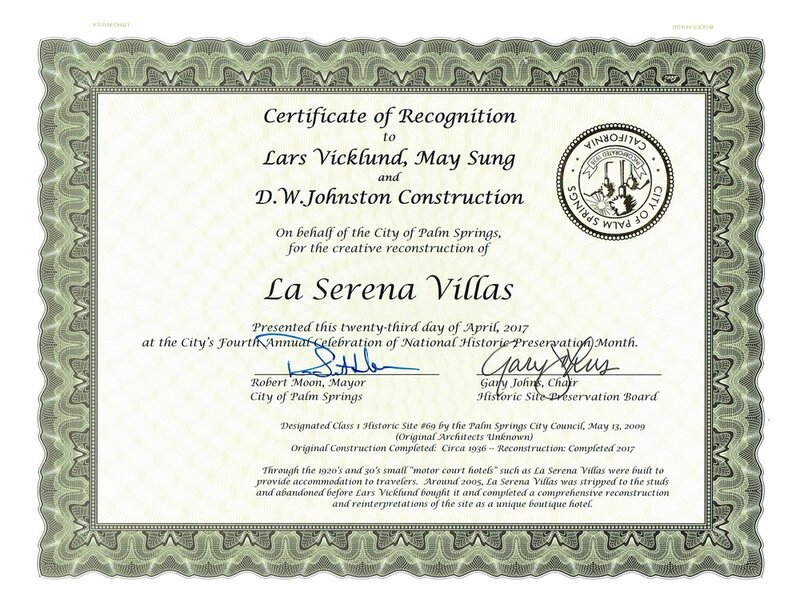 April 23, 2017 - May Sung of SUBU Design Architecture and team will be recognized for the creative reconstruction of La Serena Villas during the National Preservation Month awards ceremony. January, 2017 - The Houzz Community has voted SUBU Design Architecture as a winner of Best of Houzz 2017 award. April 10, 2016 - May Sung AIA will be presenting “Blending Old with the New” and participating on the Panel Discussion - 20th Century Architectural Eclecticism in Palm Springs - Moderated by Trina Turk. May will also lead a tour of the Del Marcos Hotel and La Serena Villas Hotel.